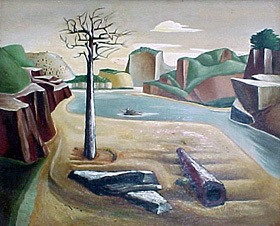 Everett Franklin Spruce (1908-2002) was born on a farm in Conway, AR. He moved to Dallas on a scholarship to study at the Dallas Art Institute, under Olin Travis and Thomas M. Stell Jr. In 1931, he became gallery assistant at the Dallas Museum of Fine Arts and in 1934 married Alice V. Kramer, a fellow art student. 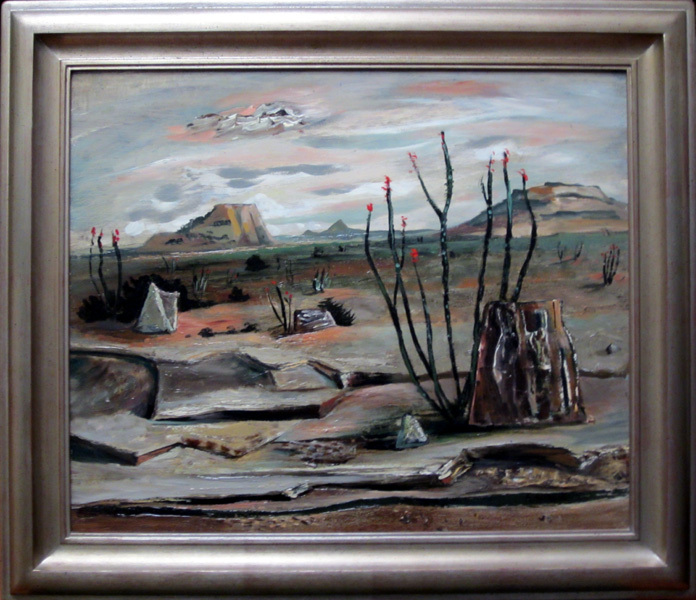 He was one of the "Dallas Nine" group of Southwest artists. By the time he joined the art faculty of the University of Texas at Austin in 1940, he had achieved national recognition, and his work has been chosen for inclusion in major national juried exhibitions. 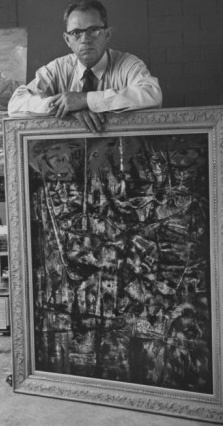 He served as chairman of the Department of Art at the University of Texas at Austin 1949-51, became professor of art in 1954 and served as director of Graduate Studio Art 1961-74. He retired in 1974 as professor emeritus and was recognized as one of the outstanding painters in Texas. 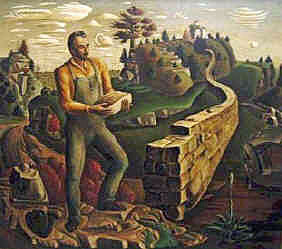 His work was exhibited nationally and internationally, including Texas Centennial Exhibition Dallas, Museum of Fine Arts, annual exhibition of Contemporary American Paintings, Whitney Museum of American Art New York, annual exhibition of American Painting and Sculpture, Art Institute Chicago, exhibition of American Painting and Sculpture, Carnegie Institute Pittsburg, "A Particular Portion of Earth" Pan American Union Washington, D.C. Upon his retirement from the University of Texas, he was honored with a Retrospective Exhibit, Selected Paintings and Drawings, 1950 to 1979. In 1993, he was honored with an exhibition "Companions in Time: The paintings of William Lester and Everett Spruce" by Laguna Gloria Art Museum. Mr. Spruce won numerous prizes including Purchase Prize "Painting of the Year" Pepsi-Cola Competition, National Academy of Design New York, Scheidt Memorial Prize, 142nd annual exhibition Pennsylvania Academy of Fine Arts, First Prize Exhibition of Modern American Paintings, Galerie Giroux Brussels and was chosen as the first artist to be represented in the Blaffer Series of Southwestern Art, published by the University of Texas Press. He was awarded a Ford Foundation Grant Retrospective Exhibition circulated by the American Federation of Arts, South, Midwest and West. 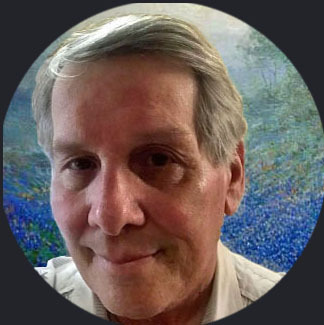 His work is highlighted in many publications including "Lone Star Regionalism, the Dallas Nine and Their Circle", by Rick Stewart published by Texas Monthly Press; "Pecos to Rio Grande, Interpretations of Far West Texas by Eighteen Artists", published by Texas A&M University Press; "The Texas Gulf Coast, Interpretations by Nine Artists", published by Texas A&M University Press and "Art for History's Sake, The Texas Collection of the Witte Museum" by Cecilia Steinfeldt published by the Texas State Historical Association. In addition, he was honored for his lasting contributions to the art world and for his exemplary work as an educator by a resolution bestowed by the Texas House of Representatives and signed by the then Gov. George W. Bush. San Antonio, Museu de Arte Moderno Rio De Janeiro, Museum of Modern Art New York, Phillips Gallery Washington, D.C., Southern Methodist University Dallas, Tulane University New Orleans, University of Alabama, University of Nebraska, University of Texas at Austin, Whitney Museum of American Art New York and Witte Memorial Museum San Antonio. Mr. Spruce continued to paint and exhibit into his 88th year. He included a sense of music and poetry in his painting. In many instances he could identify the exact spot he translated into paint, describing the time of day, the weather, the light and where he stood when he viewed it. His paintings are rich in color, texture and mood, communicating strength and substance. He was an amazingly productive artist, painting mostly landscapes, though he occasionally painted fascinating people, birds and animals. Mr. Spruce especially loved trees, of which he said "each has its own personality." In addition, he appreciated nature, particularly mountains, cactus, birds, animals, the ocean, rocks, craggy countryside, the sky and storms. He treasured anything Celtic/Irish, was fascinated by languages and different cultures, enjoyed good music, Yeats, Thomas Hardy, William Faulkner and all good literature. Teaching was his forte and many former students kept in touch throughout his long lifetime. 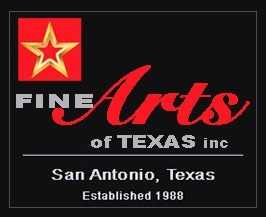 We buy and sell fine examples by this Texas Artist and have been a dealer since 1988; buying, selling and specializing in works by Everett Spruce along with other important Texas Artists. Always looking to purchase fine examples by Everett Spruce. Please call or email to discuss your painting and obtaining a free and accurate evaluation & offer or let us know your interest in acquiring art for your collection.